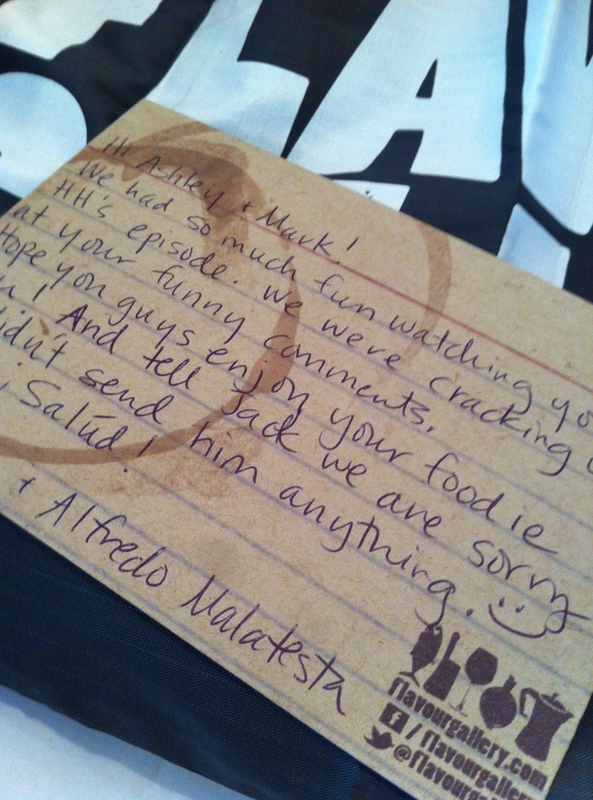 This morning Ash and I woke up to a surprise package…a couple Erin and Alfredo Malatesta who own Flavour Gallery and watched our House Hunters episode sent us the package below! Stoked! 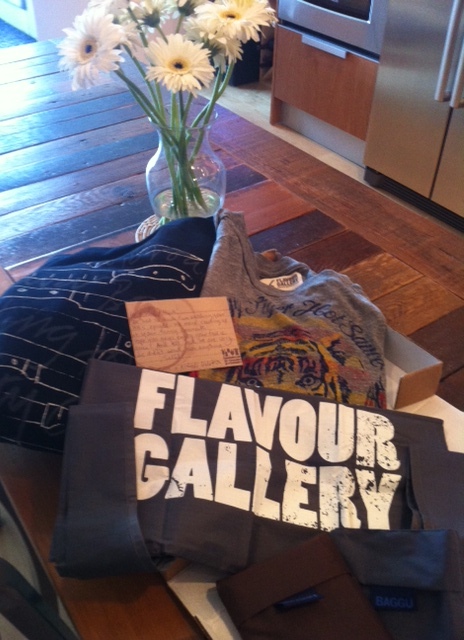 Flavour Gallery is a clothing company for foodies and anyone who loves food! Wearing sweatshirt now! Thanks for the note/ surprise! Love it! Ash got a shirt….and we finally have grocery bags! Seattle passed a law banning plastic bags from grocery stores…now we can stop paying extra for paper. Thanks Erin and Alfredo!